In this lesson you will learn how to wash, detail, fix runs, buff and polish. Detailing cars in a body shop is a little different than other places because of the silicones in many of the products. You will also learn about silicone free products safe to use in a body shop environment. This page is the full lesson, which includes text content, videos and resources. I also broke it down to only the videos and resources. 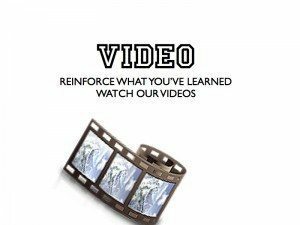 Just click the button below if you prefer to view only the videos or resources. Note: some browsers and mobile devices may not play videos below…but they should work on the videos page. If you are still having problems viewing videos, then you can watch the playlist on YouTube. This lesson does not currently have a video overview. There are demonstration videos below. Top quality work and customer service is top priority in my books. However, what is top quality to a customer? We can get caught up in perfecting every detail, then returning the car back to the customer dirty and then expecting praise for all of our hard work. If we think about it, the car probably looks like it did before the accident, at least we try for invisible repairs. So at best, the car is the same as it was before the accident. The customer expects that. They already assume that you’re the professional, as they chose your shop to have the repairs performed. Therefore, top quality work may not be enough if you want a happy customer who will be a repeat customer. For example, let’s say that you had to replace a quarter panel. You followed all of the recommendations and performed an excellent job. Now is the customer going to see the corrosion protection, the seamless section that you did, or any of the work put into it? No, probably not; all they see is the finished product. Now, if you don’t do a good job or mismatch the paint, that will be obvious. So how do we do a little extra to make the customer notices that we are professionals? I learned this lesson when I worked for a body shop in Tucson, Arizona. I was the guy that we’re describing. I worked my hardest to do my absolute best on what I considered to be important. However, time to clean the vehicle up, I was a slacker. That was not important to me. One day my boss pulled me aside and said, “Donnie, you do good work, but your work is only as good as what the customer considers good.” Then he described to me that what a customer sees is the finished product. They may not know how to determine a quality repair, but they sure notice when you return their car cleaner than when they dropped it off. That is what they see. On the flip side of this, if you leave body filler dust on the seat, a little over spray on the glass, etc., they can sure see that. It does not matter how perfect of a job you did, if left sloppy; to the customer, you do crappy work. You know, that has always stuck with me and it’s made a difference in my work habits and what I considered to be important to the customer, not only myself. I know many shops have a separate person for washing and detailing. If that is the case, make sure that person knows how important his or her job as a detailer is to the shop and the overall repair process. All right, I have conveyed the importance of cleaning and/or detailing the vehicle before delivery. Now, let’s get started. The first thing that you want to do is to determine the level of cleaning or detailing that you are going to do. If you have a $12,000 job, you can spend quite a bit of time on it. However, if you have a $400 job, you may not spend quite as much time in the clean-up stage. This is the minimum that I would recommend for every repair job. •Blow inside with compressed air. I would perform at least these steps on every single job. Now we will continue the process and go through a complete detail process. Again, you determine the level of work that you think is justified for the job. I am going to give you something to consider when it comes to detailing and getting paid for it shortly. It’s best to have a dedicated place for detailing and have all of the things that you need handy. You may want a rack to hang spray bottles on and a cart for your other supplies needed. If you need to keep supplies locked, perhaps a cabinet in the detailing area will work. The idea is to make a system that works. You want a place for everything and everything in its place. This will save hours of hunting cleaners and other supplies needed for the job. We’ve been pounding for you to use dish soap to prepare a car for refinish, but we have a different objective in mind now. Do not use dish soap, but car soap for detailing or after the car has been painted. Car soap is more gentle than dish soap and aids in the drying process. One piece of advice, you do not want to use soaps with wax on new paint surfaces. We want to avoid wax at this point. That is, if the car has just been repainted. Do not apply wax on freshly painted surfaces, so make sure that the soap is wax and silicone free. One more thing, you must be super careful with fresh paint. Have a separate bucket and wash mitt for washing with dish soap and another bucket and wash mitt for final washing with car soap. Spray the bucket and mitt to clean them before every job that you do. A little dirt trapped into the mitt can cause some nasty scratches and swirls in a new paint job. So ensure everything is clean. Start with the engine compartment. Cover electrical components with rags and apply degreaser on the engine compartment. Allow the degreaser to set a few minutes, then use a long handle brush to scrub any built-up grease or dirt area. If you need to, re-wet the surface with a little degreaser and brush the dirty areas. I would not recommend dipping the brush in the clean water that you have ready to wash the car with. I would have a bucket and brush dedicated for engine compartments, tires and wheels, and floor mats. Once the engine compartment is clean, use a pressure washer, or water hose if you do not have a pressure washer, and spray the engine compartment clean. Then remove the rags and apply dressing to the engine compartment and close the hood. Next, with the same wash bucket and brush out, clean the tires, wheels, and floor mats. Then spray wheel bright cleaner on the tires and wheels. Note that if you have aluminum wheels, many cleaners may stain them. If this is the case, you may avoid using tire or wheel cleaners. You will need to scrub them extra well with a brush. If not, go ahead and spray the tires and wheels with cleaner. Spray all four of them, as this will give the cleaner a chance to work. Next, scrub the tires and wheel with a brush. You may have to pull the car forward a little to get the bottom of the tires. Now rinse the tires, wheels, and wheel wells with a pressure washer. Depending on if the floor mats are vinyl or carpet will determine how to clean them. These are usually the dirtiest parts of the car interiors. Using compressed air, blow the loose dirt off. Then spray with all purpose cleaner. If they are vinyl, use a brush to scrub them and then rinse. If it is carpet, you can still use the all purpose cleaner and dry brush the mats. Then use a vacuum to finish cleaning. I try to avoid getting carpet floor mats wet, as it can give the vehicle a mildew smell, but I know that some detailers prefer to do it that way. Blowing the inside of the car out will save time and save on your vacuum filter. First remove any of the bigger trash. However, be careful what you consider trash. If in doubt, place it in a container or bag along with the other belongings that might blow out. Then blow the carpet and interior out with all four doors open. This will remove a majority of the dirt. Next, use all purpose cleaner to spray on any stains. Use a brush and dry scrub the stain. Then vacuum the carpet and interior. Now clean all of the interior parts. Dash, plastic parts, etc. Use a rag with soap water and wringing it out so that it is not saturated and wipe the parts to remove the excess dirt off. Next, using the all purpose cleaner spray some on a rag and continue cleaning the interior. A small short bristle brush can work well for cleaning the crevices. Now, you can use some dressing to give it the full luster look. Be certain to always spray the dressing on the rag and not the interior to prevent the dressing getting on unwanted areas. If the dressing gets on gauges, electrical components, glass, and painted surfaces, it can be a mess. While dressing works great for plastics and rubber, it may smear and make a mess on other parts. Another consideration for auto body shops is silicone. 3M and many other companies make silicone free dressing. I would recommend selecting one of these types of dressing unless your detailing area is located in a separate building. If you have a truck area on the vehicle blow it out with compressed air, apply all purpose cleaner to any stains and dry brush. Then follow up with vacuuming. This is a quick video my son did years ago demonstrating how to wash a car. Now get your clean bucket, car soap and mitt. Add about 1-2 ounces of car soap to the bucket and add water. Before washing rinse the car, trying to get as much of the dirt off as possible. The more you rinse off the less chance you have of rubbing the dirt with your mitt, causing swirl marks. Once rinsed start washing the car with the mitt. Start from the top and work down. Be sure to keep the mitt wet by dipping in the bucket. 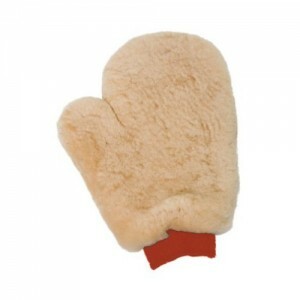 This will help remove any dirt that may have been trapped in the mitt. Also note that you do not want any of the soap to dry on the car. If it starts to dry, re-spray and continue. Once you have washed the whole car rinse thoroughly. There may be bugs and other deposits that require special attention. For bug spots use a bug brick to remove the spot. You have a great looking car until you see it from an angle…then all of the swirl marks pop out at you. One way to prevent scratching your car is to use a clean mitt when washing the car. By using this grit, all dirt in the mitt falls down fast the grit keeping it from getting back in you mitt and scratching your paint. Some of the less expensive items and go a long ways when protecting your car paint finish. Keeping your mitt clean is even more critical if you are washing freshly painted cars. The paint can take up to 90 days to fully cure. Doing this time period, you must be extremely careful washing. Check out the video below and consider getting dirt guard to prevent damaging your car paint finish. If you feel a texture or rough or dry feel on the glass or paint, it may be necessary to use a clay bar to remove and smooth the surface. You want the surface to feel smooth. Some painters have used 0000 steel wool or razor blades on the glass to remove over spray, but care must be taken not to scratch the glass. A clay bar works excellent for removing overspray from glass and adjacent panels and is probably the safest method. Once everything is spotless, rinse the vehicle again. Now you can dry the car starting from the top and working down. As I mentioned, clay bars work for overspray, but they can also be used to remove contamination from old paint before buffing. If the car your are detailing is not fresh paint, it is best to clay bar the surface to remove all contaminations from the surface before proceeding. Fresh paint will not need to be clay barred, as there should not be any contamination on the surface. Do not use a clay bar that has dropped on the ground. Just like a wash bit, care must be take to keep the clay bar clean. If you pick up sand, dirt, or other debris from the ground, you will be sanding your paint finish rather than cleaning it. Now that you finished washing the car, open doors, hood, and truck lid and wipe the jambs clean. Be sure to wipe all the rubber seals and plastic pieces too. Next dry the outside of the car. Air can be used to blow off a majority of the water to reduce the amount of drying needed. Now you can use the dressing to spray the tires. I usually just spray the engine compartment and the tires and leave it without wiping the areas with a towel. Again, you may need to pull the car forward to fully cover the bottom of the tires. When detailing, compounds and polishes are used to remove minor surface imperfections. For example, minor scratches can be sanded and compounded followed by polishing and a coat of wax. We will further discuss compounds and polishes when working on freshly painted surfaces. The same techniques can be used when detailing. Again, I do not recommend using wax on a new paint job. However, this is where you would wax the car if you’re just detailing a car for a customer. If it has just been painted you can use a hand glaze or final detail product, as they do not contain silicone. Silicone seals and protects the paint, but we want to allow the paint to breathe and allow it to fully cure, which make take 90 days. To apply the wax, simply follow the directions on the can or bottle. Glaze can be applied to new paint. This is similar to wax, but does not contain silicone and does not seal the paint like wax. Glaze gives the paint the full luster to the paint, but does not protect the paint like wax. 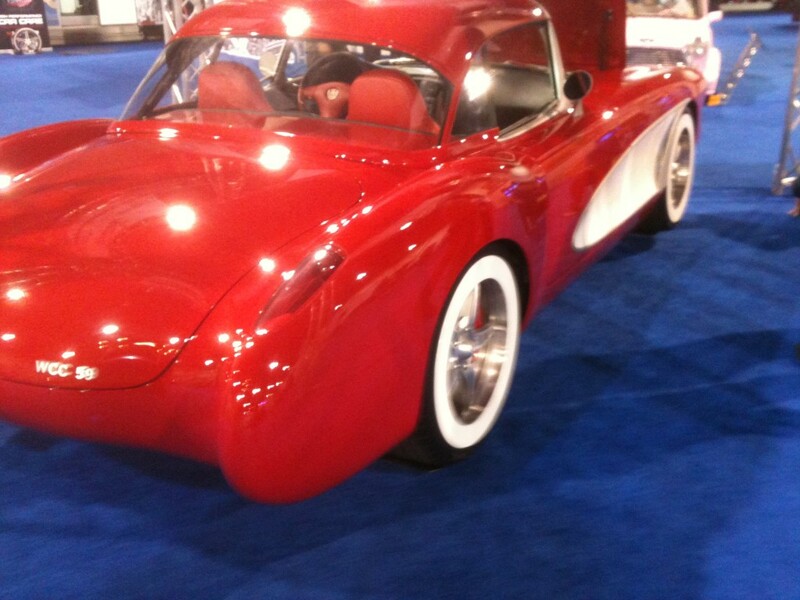 This can be used after painting a car or after buffing and polishing a new paint finish. This is a hand application. I use one wipe-all cloth to apply the glaze to a panel, then wipe the panel with a dry wipe-all. I do one panel at a time. Once the complete car is done, I normally go over the entire surface being glazed with another dry wipe-all to remove all smudges. Do not be scared to waste wipe-alls. If it becomes dirty, throw it away and get a new one. The last thing that you want is to rub dirt around on the new finish creating scratches. A microfiber towel can also be used for final wiping the surface. I always like to leave the glass for last. This way the glass will have a streak free appearance. This is what the customer looks through, so if they can see spots and streaks, then the job looks less professional. Be sure to clean any overspray off of the glass using a clay bar before using glass cleaner. Now the car is washed, dried, the interior has been cleaned, vacuumed, dressing applied, and now we’re ready to prepare the car for delivery for the customer. Now what the customer will see is a nice clean car that looks better than it did before the accident. They may not be able to see all of the work underneath the surface, but they will thank you for what they can see. As I started this with, you may not want to do a full detail on every job. It’s up to you how much you want to do. In fact, you may be able to sell them on a full detail when you start repairs. This way the customer will get the nice clean job and you will get an additional fee for the work performed. Think about it….the customer already selected your shop to perform the repairs…. and many people pay for this service anyway, chances are they will pay an extra $100 – $125 (or whatever your rates are) out of pocket to have it all taken care of while it’s in the shop. They get a car that looks much better than it did before repairs and you get paid for it. That is a win/win. This is something that you will probably only do to cars that have been painted to remove small imperfections or when providing a full detail on other cars. On new painted surfaces there may be small runs, sags, orange peel, dirt, dry, etc. These are all reasons that you may need to buff. I often hear the term cut and polish, as you are leveling the surface and polishing it back to the full luster and shine. In fact, the finish looks much smoother, slicker, and deeper after a cut and polish. You’ve seen the cars that look like glass haven’t you? Show cars usually have a full cut and polish job. However, depending on the shop policy, you may or may not buff every car that goes through the shop. Most shops only polish the areas that need it. For instance, if there is only one small piece of dirt, many painters will nib that one spot and buff it out. Hopefully, through all of the cleaning steps and maintaining a clean paint booth, you will not have too much dirt. Although, every painter has small imperfections from time to time that need to be buffed out. There are many ways to sand the surface. This process may also be referred to as color sanding. I prefer the method that 3M has. This system uses a dual action sander and fine sandpaper, which we will cover shortly. The other way to sand the surface is with a wet sanding method. This method uses a sanding block and fine grit sandpaper. Nibbing block, razor blades and other tools may be used to level the surface as well. The objective is to sand the imperfection and level the surface. Remember that coarser grit levels and finer grit smoothes and polishes. Also remember to level, you must use a block or the hard surface of a dual action sander. If you use your hand or a soft interface pad when sanding, you will not level the sag or imperfection. You will just end up following the pattern until you have sanded completely through the coating, while the sag is still there. So use a hard surface to level. Once leveled, we can use a soft hand pad or an interface pad with a finer grit sandpaper to polish the surface. Now we’ll discuss a few ways to perform these two steps. As I mentioned, this is my preferred method, but there are many other technicians who prefer wet sanding. Just give them both a try and see which method works best for you. To start, use the DA sander with 6” with 1200 grit sandpaper; lightly sand just enough to level the sag or dirt. Once leveled, use the interface pad and continue sanding the surface. Be careful not to sand on body lines or edges as it will sand through the coating, which may cause repainting. Next, switch 1500 grit to minimize the 1200 grit scratches. Lastly, use 3000 grit sandpaper using the interface pad. This step requires a little water, but not too much. Too much water will not allow the sandpaper to polish properly. Use a squirt bottle to add a few sprays to the surface and begin sanding. Just a few passes in one direction and a pass or two in the opposite direction is usually enough. You want to ensure that the surface builds a white paste liquid. This means that the clear is sanding properly. Clean the surface off and you’re ready to buff. We’ll cover the 3M system after we cover wet sanding. This was the system used for many years until 3M developed the DA sanding system. To begin, I have found that soaking the sandpaper in water for several hours before using it works best. Using clean water and a mitt or a spray bottle and 1200 grit on a rubber sanding block, sand the imperfection until level. Use the same precautions as above for edges and body lines. One way to prevent sanding through is to tape your edges off with masking tape. Once the surface is level, use a soft hand pad and 1500 grit, and then 2500 grit sandpaper to prepare the surface for buffing. There is a much faster way to help level the majority of the imperfection. Works real well on runs and sags. This is by using a razor blade to gently scrape the sag. You must be extremely careful not to allow the edge of the razor blade to dig in and scratch the surface. I’ve added a video demonstrating this technique. I have had a lot of luck using a razor blade. They also make a tool for this, which have blades on it to scrape much like the razor blade method. I’m sure that this works well for some painters, but I have not ever had much success with this tool. 3M has a new de-nib tool that works great for removing small dirts nibs that works well. I created another sanding and buffing video after the 5000 sandpaper became available by 3M. What Grits To Use For Buffing? Why Do Body Shops Have To Denib or Buff Cars? www.CollisionBlast.com/3MCompound-1 – Fast cutting rubbing compound designed to remove sand scratches and leaves a fine finish on automotive paints. Use with white wool or foam polishing pad. www.CollisionBlast.com/3MPolish-2 – Quickly and effectively removes compound swirl marks and produces an outstanding finish. Good handling, easy cleanup. It is a high performance polish. Designed to remove compound swirl marks and other minor surface defects. Use with 3M black waffle polishing pads. www.CollisionBlast.com/3MPolish-3 – Machine polish has been designed to eliminates swirl marks and produces high gloss finish. Excellent for dark colored vehicles. Use with blue polishing pad. I call it the 3M 3 step system because there is a bottle 1, 2, and 3. They are also color coded to make it easy to remember which product should be used with which buffing pad. Step 1 is your compound and use a white foam or wool pad. Step 2 uses a black foam pad, and Step 3 uses the blue foam pad. Step 3 is not necessary to use on lighter colors. It is only used when buffing dark colors. It’s an extra step to eliminate swirl marks. 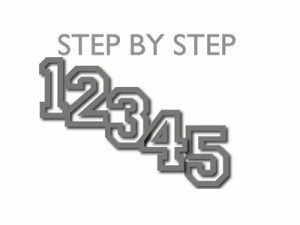 All three steps follow the same basic steps. Apply the product to the surface and rub it in with the buffing pad to eliminate slinging polish everywhere. Then using medium to heavy pressure buff in one direction several passes, then several passes in the opposite direction. Then with very light pressure buff several passes in each direction. It is important to use the medium pressure followed by light pressure. You also want to use a lower RPM than when grinding. 1000 to 1400 tends to work well. There is not an exact science or number of passes it will take, it will just take a little practice and you will develop the technique to perfect the buffing technique. That covers buffing in a nutshell. However, there are other details that will be covered in the resources below. Be sure to watch all the videos below for more details on buffing. Caution with sanding or buffing. Stay away from body lines and edges. It is very easy to sand or burn through on these areas. Take extreme care when sanding or buffing in these areas. After you’re done buffing you will need to wash and clean the car as described above. Special attention needs to be taken on gaps and other places that the compounds and polishes may have gotten during the buffing process. You do not want an awesome looking paint job with white compound showing in all the gaps and edges. One thing that you can do to prevent this is to tape the panel gaps during the buffing process. After washing, you can give it the final touch by using a hand glaze over the painted surface to give it the full deep luster. There are a lot of products out there to remove scratches from your car paint finish. However, most of them are a temporary fix. Products like the fix a scratch pen, WD40, etc. The problem with these products is that they fill in the scratch, which makes the scratch less noticeable…even water will hide scratches for a short time. But these products dry and the scratch is still there. The only way to fas a scratch permanently is to sand down past the scratch and buff out. 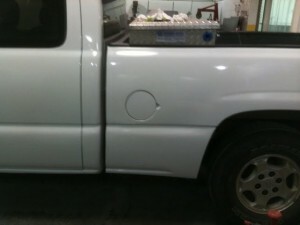 You can use regular buffing supplies, but we did a video using a 3M scratch repair kit. 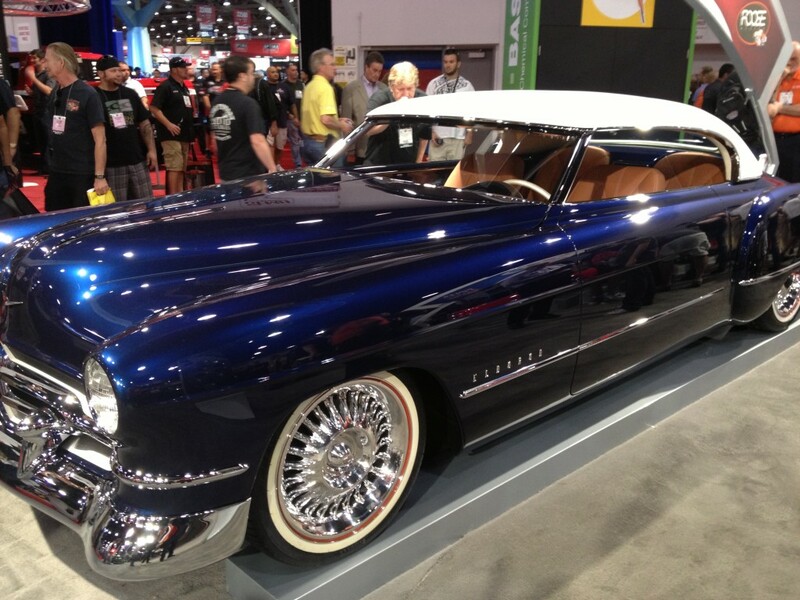 Car wax helps seal and protect your paint finish. Contaminates from the environment and other contamination lands on top of the wax instead of attacking the paint. It also helps bead water, which helps you car dry faster. Wax is definitely needed to protect your paint, but it does contain silicone, which is an enomy of the paint shop. But that alright, because you are not going to waxing new paint surfaces anyway. Why Can’t New Paint Be Waxed? While wax has it’s purpose for a cured paint job, it is not recommended to apply wax to fresh paint for 3 months. Your car may be dry to the touch and appear cured, but the curing process actually takes a long time. During this time period it is important to be extra careful washing or anything else that may scratch the paint finish. Paint does not reach it’s full hardness until the paint is fully cured. After 3 months, give a good wax job to protect the paint surface. To be successful in today’s competitive market place we must look for way to upsell to the customers that we already have. No, I am not talking about persuading customers into purchasing things that they don’t need. I am talking about helping them with things that they do need. It really surprises me when I take something to be worked on at a business and the business does not ever mention the other things wrong. That makes me think that they really do not care about me or value me as a customer. It also makes me think how many missed opportunities the business may have had. For example, headlight restoration. If you are a detail shop, body shop or some other type of auto repair shop, do you offer headlight restoration? If not, you should consider it. Not only does yellowed, hazed, and foggy headlights look bad, but this may also be a safety hazard. Many people don’t realize that this reduces that amount of light that can shine though the plastic headlight lens, which will result in poor vision at night. Therefore, if you offered to take care of this problem for them, they would appreciate it. This is also extra revenue for the shop. I think some businesses are like gold miners. They are always looking for the bigger and better deal. Rushing though one job to get to the next job. Spending significant amount of money to find new customers. Now don’t get me wrong, I believe in the power of advertising and branding your business. However, I think some businesses do not pay enough attention to the customers that they already have. These are customers that already know, like and trust you enough to do business with you. Therefore, I believe spending more time with each customer could benefit your business. Are there any miss opportunities that you could better serve your customers? Should you offer a service that a customer could do them self? You may not want to offer a service like headlight restoration because 3M now sells kits for people to do it them self. Therefore, you think that they would not be interested in a service like this. Well, there are some people that may prefer to do it them self to save money. However, the fact that you brought it to their attention and letting them know that yellowed headlights may be affecting their night vision, may be enough for them to remember you when they need other services. You may not have gotten the sale, but the customer knows that you care and you may now have a customer for life. There are also a lot of people that will tell you to go ahead and do it. Think about it, people know how to wash their cars and change their oil, but they still pay have it done for them. This is because we all live busy live and their time is valuable to them. They want to spent what time they have off doing the things that they want to be doing. Not working on their cars. My point is that there is a market in many of the things that we overlook. We need to start looking for every opportunity to increase sales if we want to survive in tomorrow’s competitive market place. We made a video with my boys to demonstrate how to restore headlights. One of my boys is videoing, so the video is a bit shaky. This headlight was not near as bad as some of them that we have restored. However, the key it to prevent them from getting that bad in the first place. If they are already completely hazed over, this is a safety hazard with limited vision at night. Have you ever noticed how horrible hazy, foggy or cloudy plastic headlight lens can make your car look? You spend hours each years cleaning your car, but those dirty looking headlights never look clean. Not only does it look bad, it can also cause less light to pass through the lens resulting in poor vision at night. We have taught students in our automotive collision repair program how to restore the headlights to a brand new look. Now, thanks to 3M, you can get the same results yourself with a little time and effort. Customers are being charged anywhere from $50 -$100+ to have this done at a shop. Watch the video that my boys and myself made to learn how to do headlight restoration. After trying the DIY kit we found it to be easy to use. It is easier when using the body shop supplies, DA sander and buffers, but for the DIY, this kit provides a system that anyone can do with a little time and effort. www.CollisionBlast.com/HowToWashCar – This video demonstrates how to hand wash a car. www.CollisionBlast.com/HowToUseClayBar – This video demonstrates how to use a clay bar. www.CollisionBlast.com/RazorBladePaint – This video demonstrates how to use a razor blade to level runs. 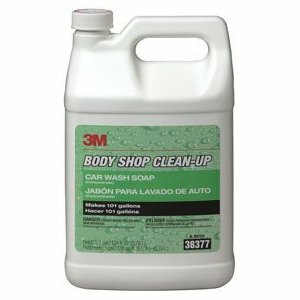 www.CollisionBlast.com/3MCarSoap – Phosphate free and body shop safe, contains no silicones. 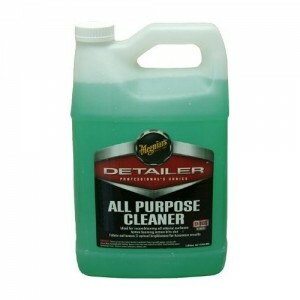 www.CollisionBlast.com/MeguiarsAllPurposeCleaner – All Purpose Cleaner is ideal for reconditioning all interior surfaces. The superior foaming action gently lifts the dirt away while its unique blend of fabric softeners and optical brighteners enhance the look and feel of carpet, upholstery, vinyl and even leather. 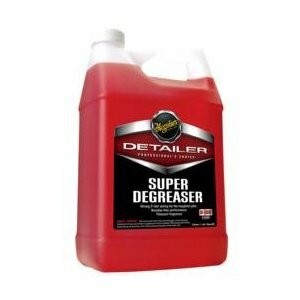 www.CollisionBlast.com/MeguiarsDegreaser – Super Degreaser exceeds expectations by quickly breaking down even the toughest grease. Its fast acting, free rinsing formula prevents unsightly white residue stains while its herbal fragrance creates a pleasant work environment. 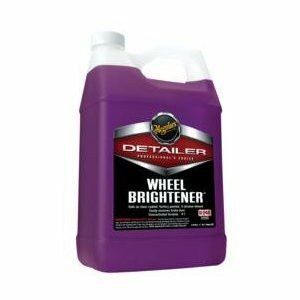 www.CollisionBlast.com/MeguiarsWheelBright – Wheel Brightener is the product of choice for professionals looking for a powerful wheel cleaner that quickly and effectively removes tough brake dust. There is a thin line between effective cleaning and dangerous to use products; Wheel Brightener gives users the ultimate in flexibility, cleaning and safety with one product. www.CollisionBlast.com/MequiarsDressing – Silicone free dressing safe for body shops. www.CollisionBlast.com/MeguiarsClay – The Meguiars Smooth Surface Clay Kit is a complete detailing clay kit from one of the oldest names in car care. 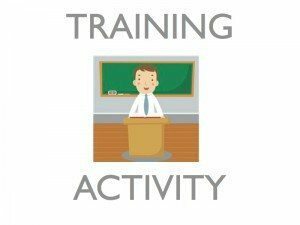 Read this lesson, watch videos, read the technical data sheets and put it all to work. Detail your own car like this and offer to do a few other family members to gain the needed experience to perform this professionally. Raise hood and cover electrical components with rags. Spray engine compartment with degreaser and allow to soak several minutes. Scrub dirty areas with brush. Re-Apply degreaser to any dry or dirty areas. Pressure wash the engine compartment and under hood. Apply dressing to the entire engine compartment and shut hood. Spray wheel bright on all four tires and wheels. Be careful on some aluminum wheels. if in doubt, just scrub with a brush. Pressure wash tires, wheels and wheel wells. Take floor matts out and blow with compressed air. Spray with all purpose cleaner. 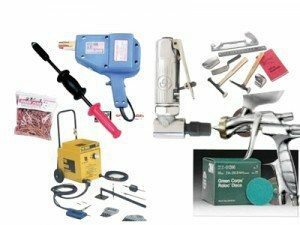 Carpet matts vacuum – Vinyl matts pressure wash.
Blow Inside and interior of car. Clean inside of car with all purpose cleaner. Spray dressing (ON RAG) and apply to plastics. Clean and vacuum trunk area. Pressure wash outside of car. Wash outside of car from top to bottom. Rinse, wash, rinse. Never allow the soap to dry on its own. Use clay bar to smooth any ruff surfaces on paint. Use 000 or 0000 steel wool or clay bar on glass if there is overspray. Wax or glaze paint surface. Clean inside and out of glass. Buff with #1 compound and white pad. Buff with #2 polish and black pad. If dark color, buff with #3 and blue pad. Detail car as described in steps above. Detailing is a lot of work, but can make the car look excellent. Now test your knowledge. There is not a time limit set on this quiz so take your time. Find the correct answer if you do not know for sure. The objective of this quiz is to help you learn the information if you do not know the answer, not guessing. Good Luck!